It's not always clear which photos have been uploaded yet. But it is important to understand how to determine this before deleting anything from your device's storage. General rule of thumb: If you're not 100% certain that a photo or video has been uploaded, don't delete it from your camera roll. Login to your account from a desktop web browser at Picturelife.com - can you find the photos? If the answer is YES, they've been uploaded. The Allow Uploads button will be blue when enabled. 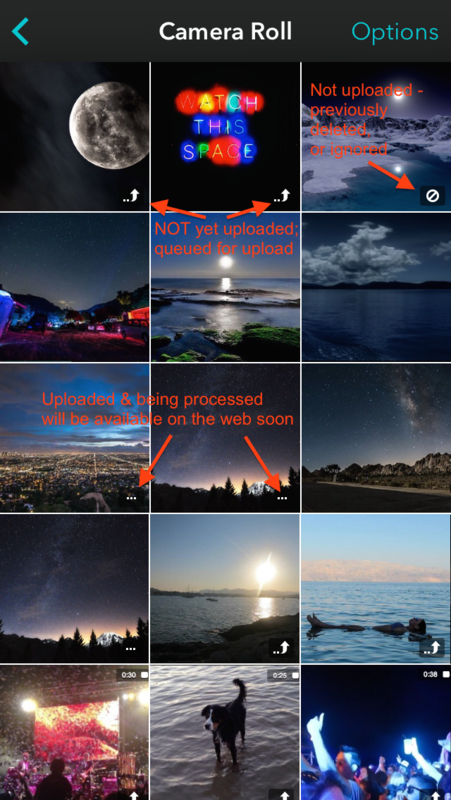 Check the symbols on each thumbnail to determine the photo or video's current upload status - generally, if there is a symbol in the bottom right corner, the photo has NOT yet been uploaded. 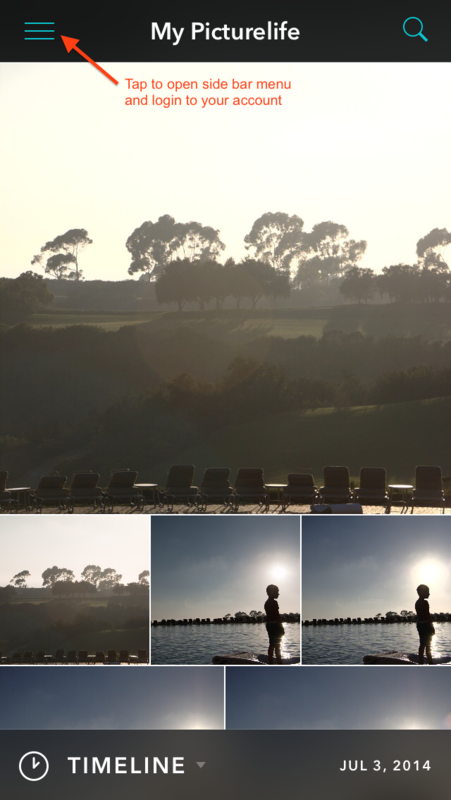 An arrow indicates the photo has NOT been uploaded but is queued for upload. 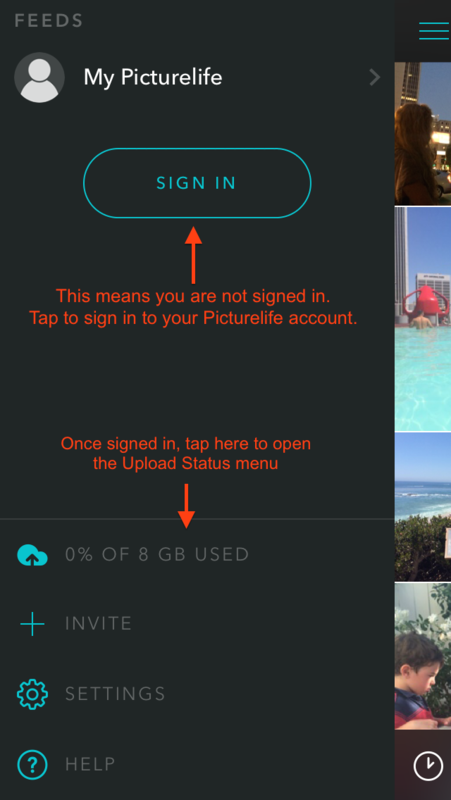 A slashed circle indicates that either you chose to ignore the photo (not upload it) or that you uploaded and then deleted the photo from your Picturelife library. A ... means the photo has been uploaded and is being processed. It will be visible on the web shortly. No symbol means the picture or video has been uploaded to your Picturelife library. Is the iOS procedure same for Android phones?